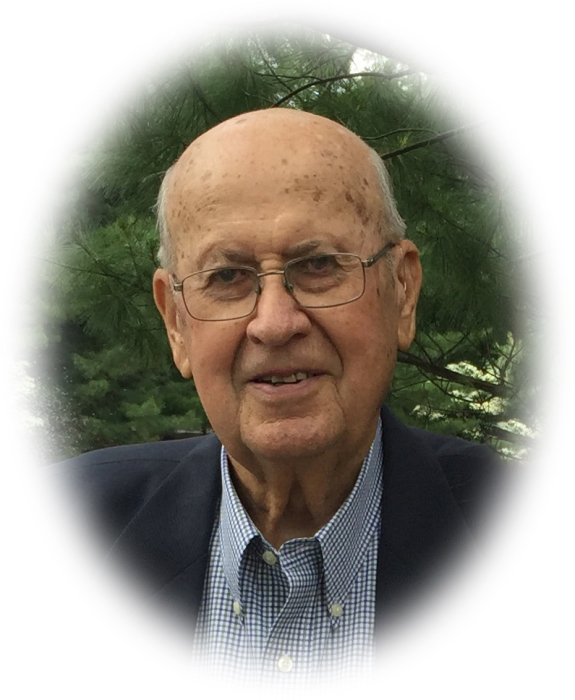 Obituary for John N. Weidman | Sheetz Funeral Home, Inc.
John N. Weidman, 90, of Mount Joy, went to be with his Lord on February 6, 2019. A life well lived, John was a beloved husband, father, grandfather respected civic leader and volunteer. He is survived by his wife of 64 years, Barbara Aument Weidman, his three children, John P. and wife Pam (Krotec) Weidman of Hummelstown; Mark S. and wife Jill (Davey) Weidman of Sterling, VA, and Susan E. Weidman of Philadelphia. He will be dearly missed by his six grandchildren, Gavin Hellman, Owen and Ashlyn Weidman; Megan, Drew and Trent Weidman. He was preceded in death by his parents Enos H. & Anna Mae (Newcomer) Weidman, brother Clarence Weidman and sister Vera (Weidman) Grove. John was a proud graduate of the East Donegal Township High School, class of 1945. After graduation, he began a 50-year career with Pioneer Hi-Bred Int. John retired in 1995 as Area Sales Manager for the Northeast United States. His leadership and business ethics influenced Pioneer employees throughout North America. Agriculture was John’s lifelong passion. Throughout his life he promoted agriculture in Lancaster Co. and Pennsylvania through various organizations, including Grassland Council, Master Corn Growers, Lancaster County Extension Services, and Penn State Agronomy Advisory Council. An active member of the Mount Joy community, John’s church was an important facet of his daily life. He was a 75-year member of the Mount Joy Church of God serving as a teacher, council member and life elder. A dedicated volunteer, John held offices and was a member of the Mount Joy Lions Club for 70 years, the Mount Joy Borough Authority, served on the Donegal School Board and Athletic Booster Club. Other affiliations included serving as a Mentor at Donegal Springs Elementary, on the board of the SICO Foundation and the Jacobus-Iacobucci Foundation. John enjoyed playing golf, all things Penn State, and was a leader who will be missed by both his family and the community he served. John had great pride in his wife, children and grandchildren. A Memorial Service honoring John’s life will be held at the Mount Joy Church of God, 30 East Main Street, Mount Joy on Sunday, February 17, 2019 at 3 PM. John’s family will receive friends on Saturday afternoon, February 16, 2019 from 3 to 5 PM at the Sanctuary of the Mount Joy Church of God again on Sunday following the service. Please Use The Main Street Entrance. Please note, there will be no visitation prior to the memorial service. His family will greet friends immediately following the service in Fellowship Hall. In lieu of flowers, memorial contributions to Doubling Gap Center, Camp Yolijwa, 1550 Doubling Gap Road, Newville, PA 17241, or to the 4-H Club of Lancaster County, Penn State Extension, “Weidman Memorial”, 1282 Arcadia Rd. Room 140, Lancaster, PA 17601 would be deeply appreciated.